Is Intel planning a mighty 12-core CPU to battle AMD’s Ryzen chips? AMD’s launch of Ryzen processors has made some big waves, with the new range boasting affordable 8-core models which promise blazing performance levels and have already broken world records in benchmarks – but it seems Intel could fight back with a mammoth 12-core processor. The rumor from Italian tech site Bitsandchips is that Intel is working on commercializing a 12-core (24-thread) beast of a Skylake-X processor as a response to the new Ryzen models. This would be in addition to 10-core processors at the high-end of Intel’s range. 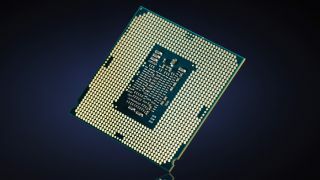 Essentially, it would be Intel flexing its muscles and playing the ‘more cores’ card – a strategy AMD isn’t unfamiliar with itself, of course. That would certainly seem to indicate Intel is worried about how competitive Ryzen is, and rightly so given what we’ve seen thus far, and in particular AMD’s pricing. Naturally, a 12-core enthusiast CPU would doubtless be very expensive, but the introduction of beefier models like this could have a trickle-down effect on prices, making 6/8-core processors more affordable. Which is what Intel surely must do in the face of AMD’s new chips. Granted, the source of this rumor isn’t one we’re particularly familiar with in the world of hardware leaks, but as Wccftech.com, which spotted the news, observes, the Italian site has apparently made some reliable processor predictions in the past. So yes, the usual condiment-related caveats apply – plenty of salt, in other words – but the fact is that Intel does need to make some sort of response, and a bit of core-count posturing (and possibly also a resulting domino effect on prices) is not an unbelievable prospect. In case you somehow missed all the Ryzen news, this is how competitive the new range is: AMD’s 8-core flagship CPU (1800X) beats Intel’s Core i7-6900K in Cinebench R15 multi-threaded by a score of 1,601 to 1,474. And the former is priced at $499 (about £400, AU$650), less than half the price of the 6900K.